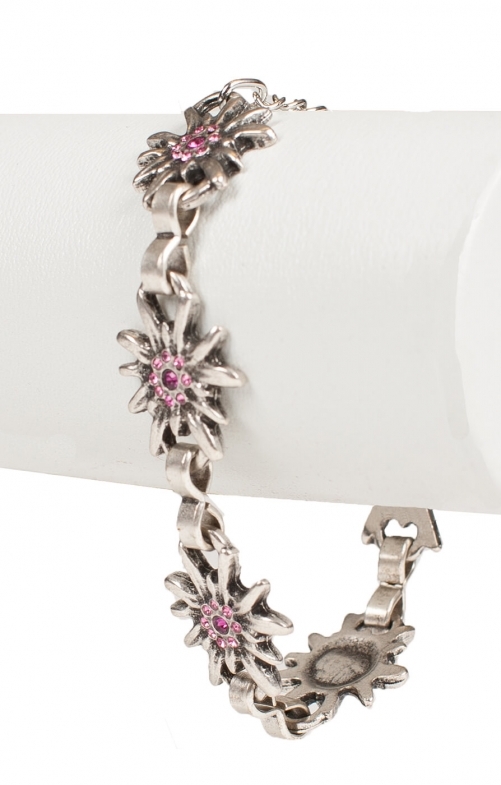 Delightful edelweiss and pink crystal bracelet. This charming silver bracelet will prettify your Oktoberfest look with true Trachten style. Featuring traditional Bavarian motifs, this splendid bracelet with edelweiss flowers and spring ring fastener will complement a pink Dirndl superbly. Set on silver and linked with infinity loops, the bright pink accents are bound to make a lasting impression at the festival and beyond.